1 out of every 100 dogs that reaches the age of 12 will develop diabetes. In cats it’s estimated that 1 in 250 cats will develop diabetes. Diabetes is an illness caused when the body cannot use sugar normally (sugar diabetes). This is the more common type called diabetes mellitus. Diabetes insipidus (water diabetes) is less common with a completely different cause and different treatment. Since most pets that have diabetes mellitus, we will further discuss this type. Overweight pets have a higher risk of developing diabetes. 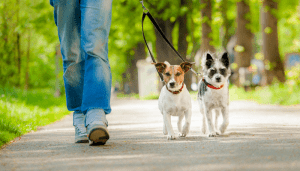 In dogs, diabetes mellitus is common in middle-aged to older animals, especially in females. Certain breeds of dogs also experience above-average rates of diabetes like miniature poodles, dachshunds, Australian terriers, Beagles, Samoyeds, and Burmese. In cats, male cats are more likely to develop diabetes. If it’s seen in younger animals, it can be a sign that your cat or dog is genetically predisposed to diabetes—this can mean that related animals may also be predisposed. 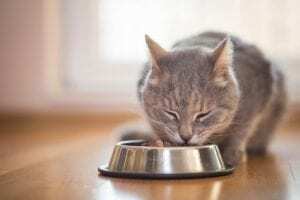 Insulin is a hormone produced by certain cells in the pancreas that keeps your pet’s glucose concentration at a normal level while delivering glucose (energy) to the body’s cells. Because diabetes is caused by a lack or shortage of insulin, your pet may need management with insulin. Diabetes can usually be controlled by simply learning to give your pet daily insulin injections to control blood glucose level. Your veterinarian will help you find your pet’s correct dose. This process may take a few weeks, but the end result is very manageable. Once you have the correct insulin dose, it is extremely important that you administer your pet’s therapy at approximately the same time every day. In general, diabetes cannot be cured. However, the good news is that with proper monitoring, treatment, and diet and exercise, diabetic pets can lead a happy, healthy life. 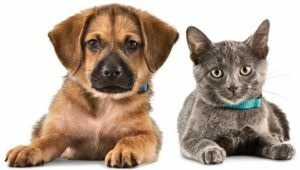 If you are interested in preserving your pet’s genetics, please contact ViaGen Pets at 1-888-876-6104 or at www.ViaGenPets.com for more information about Genetic Preservation.